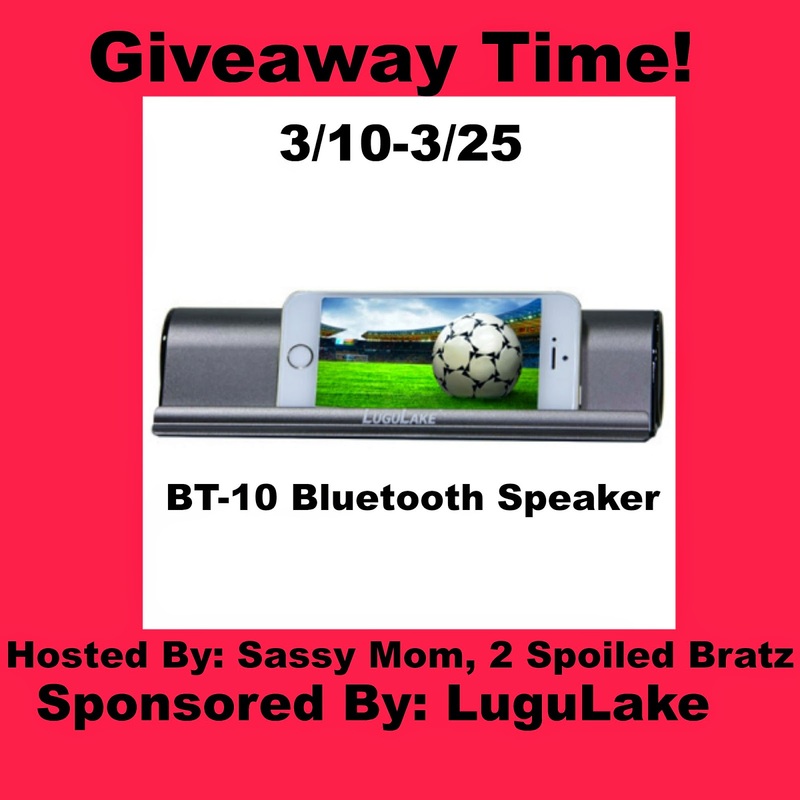 Sassy Mom, 2 Spoiled Bratz and LuguLake teamed up to bring you a giveaway for one LuguLake Bluetooth Speaker! Listen to your music on your phone easily with this fabulous bluetooth speaker from LuguLake! I know an 11 year old that would LOVE this! The bloggers promoting and hosting this giveaway is not responsible for prize fulfillment. LuguLake will be in charge of that. I look for an easy to use with high quality sound. If I won, I would give this Bluetooth speaker to my daughter. I look for sound quality in a bluetooth speaker. I would win this for myself. Thanks for the giveaway!